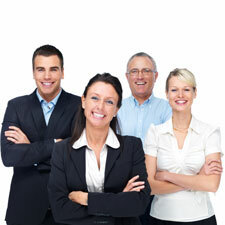 NJ Spine & Joint offers Corporate Health Fairs and Wellness Programs at no charge to your company. A Health Fair is an organized event that takes place right at your location, where our medical technicians perform various screenings on your employees. Health Fairs offer your staff the opportunity to participate in health screenings and conversations with highly qualified practitioners. They provide answers and solutions to problems that affect your employees’ daily lives and their ability to do their best at work. Busy work and life schedules often delay doctors’ visits until an emergency arises, and the rising costs of co-pays and deductibles discourage employees from going for regular checkups. For example, an employee suffering from headaches who takes over-the-counter pain killers may learn at a blood pressure screening that high blood pressure may be the root of those headaches. Health Fairs provide opportunities to speak about health issues with caring professionals who are conveniently located and to take the leap to good health and all its benefits. A therapist will relax tight and stressed muscles and detect any muscular imbalances and trigger points that have developed over the years from damaged or injured muscle tissue. Most people cannot sense high blood pressure (hypertension) because there are usually no symptoms. High blood pressure increases the risk of heart failure, heart attack, stroke and kidney failure. A technician will perform a blood pressure analysis. Stress can cause tight muscles, nerve tension, high blood pressure, high glucose levels, stomach tension and heart problems. One of the first indicators of stress is tight muscles. We provide a hands-on stress test for early detection. Poor posture can develop from a number of causes, including muscular strain, injury to the back, muscular disorders, pressure on a nerve root or right-left imbalances of the body. A posture analysis will detect any imbalances. Many people have developed imbalances in their bodies, resulting in one side of their body weighing more than the other. Using a laser scanner, a doctor or therapist will generate a computerized, 3-dimensional model of an individual’s feet. It maps the soles of the feet in detail, comparing the individual’s feet to an ideal model. From here, the system will show the individual a detailed visualization of his or her bio-mechanical balance. A technician will determine what percentage of an individual’s body is made up of fat, water and muscle mass. Each Health Fair participant will receive a written report of the results immediately. We also provide complimentary literature, answer questions, make appropriate referrals, and schedule any necessary follow-up care. In addition, we offer a free exam and x-ray, if needed, at our office. We also offer free Lectures, which can be presented at your organization as a “Lunch & Learn.” These Lectures provide education on important aspects of health, wellness, and nutrition. At each lecture, one of our board-certified doctors gives a presentation, which is followed by free screenings related to the topic discussed. A series of Lunch & Learn Lectures creates a culture of interest in health issues and wellness. Interesting and motivational speakers provide lectures on a variety of health topics and answer questions. A culture of health in an organization makes everyone more aware of the desire to be well informed and the need to get active in health. Do you have more questions about our the Corporate Health Fairs by NJ Spine & Joint? For more information or to book your event, email Linda DeJacomo at linda@njspinejoint.com.